Panoramic drive through the Pelješac peninsula and south Dalmatian coastal road will bring us to Dubrovnik stopping just above the Old Town from where you will be instantly left speechless by the glorious view of the town and the nearby Lokrum and Elafiti islands. 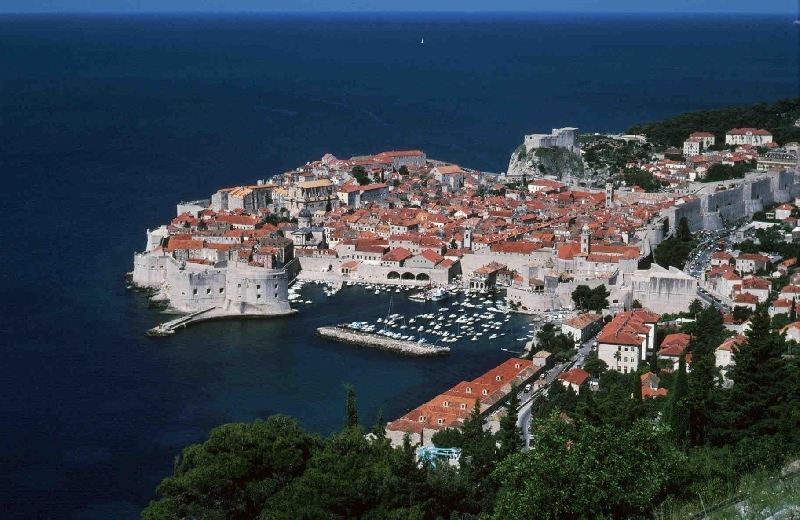 For a quite a long period of time Dubrovnik Republic was a symbol of prosperity. It possessed one of the biggest merchant fleets of the Mediterranean, which made Dubrovnik one of the Europe's highly influential players regarding trade and politics of that era. Another reason why the republic held its ground for so long was its outstanding diplomacy. Many modern countries would be more than proud to have such a virtuous diplomatic tradition, which was credited for ensuring independence to such a small republic for over 450 years. Discover with us the town from the list of UNESCOs world heritage, encircled with powerful walls and fortresses that dominate the region for centuries.